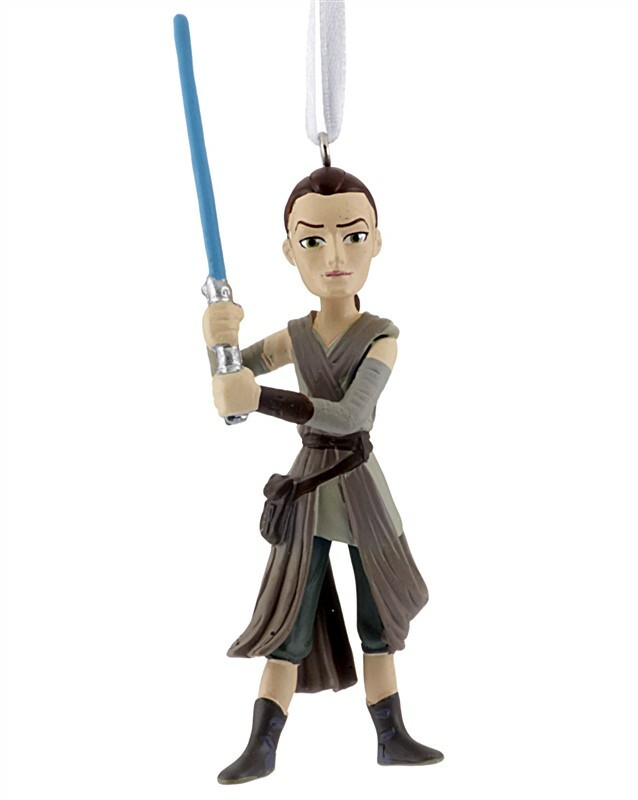 Check out 10 of our best ornaments in 2018! Browse now before their sold out. 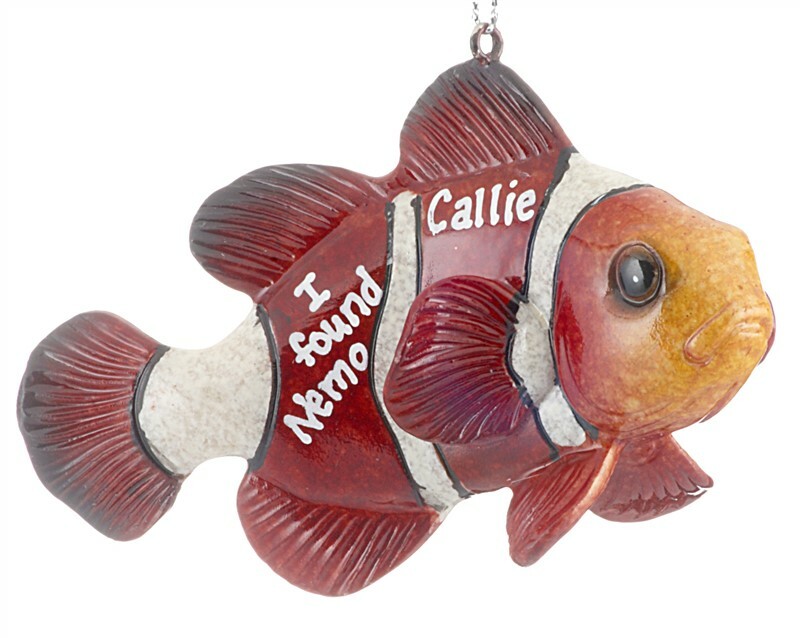 We are so excited to bring you NEW personalized Christmas ornaments all across OrnamentShop.com. Cherishing the best times of the year is made easy with ornaments to celebrate your family and friends’ achievements. Browse your favorite categories for unique and colorful keepsakes to gift for Christmas this year. Below, I’ve made a list of 10 of the best ornaments I’ve picked out this year to help you narrow down your choices from our vast selection. Be sure to get your shopping done early because we always sell out of our most popular ornaments! Did you have a new addition to your family this year? Baby’s first Christmas is such a special celebration! It will only happen once, and it makes the holidays so much more magical. Each year, we come out with new baby ornaments for the new year. 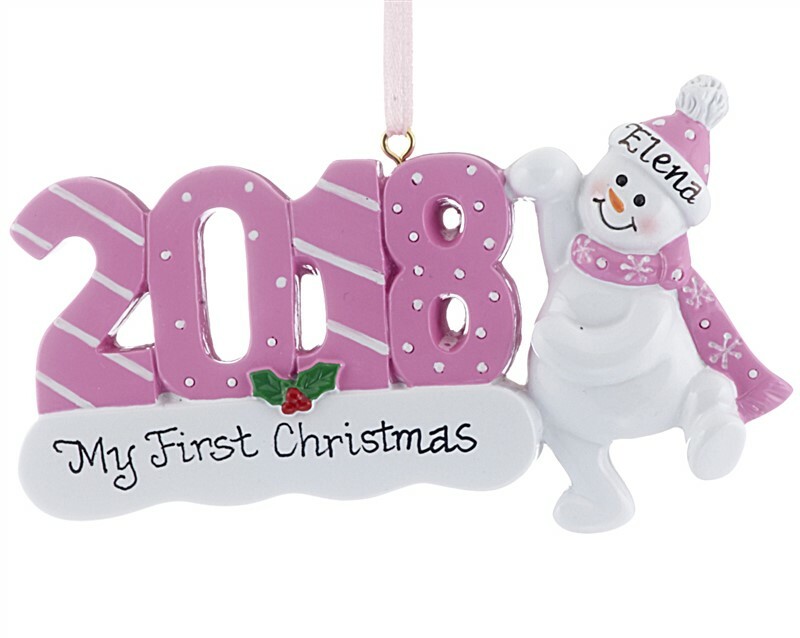 Personalize the little one’s name right beside their first Christmas year! For the first time, we have an ornament that can hold another gift! 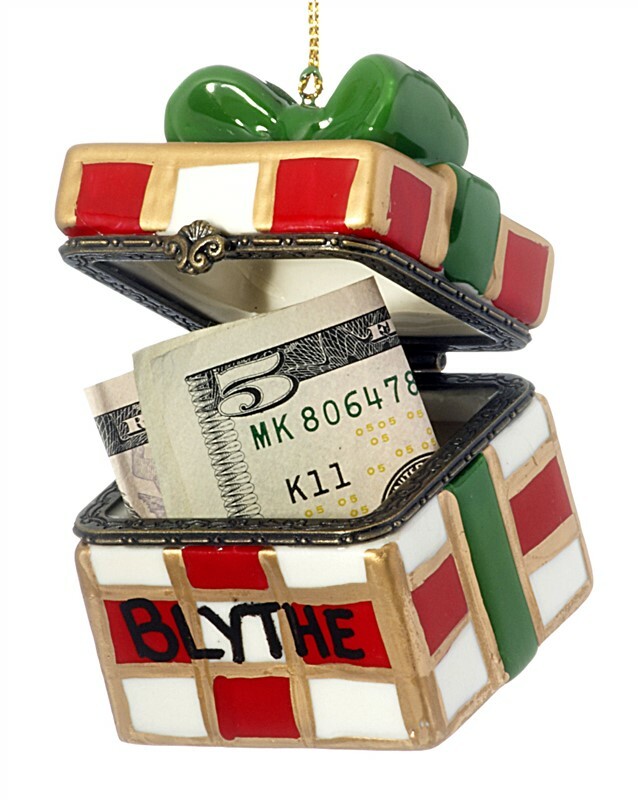 With a hinged box ornament, you can offer your friends and family a small piece of jewelry or even cash. This ornament is so versatile and had to make my top 10 list! Personalize it with your loved one’s name to make it even more special. Flying drones is such a cool hobby. You might have a friend with a very unique and interesting hobby, and a personalized hobby ornament would perfectly capture it. 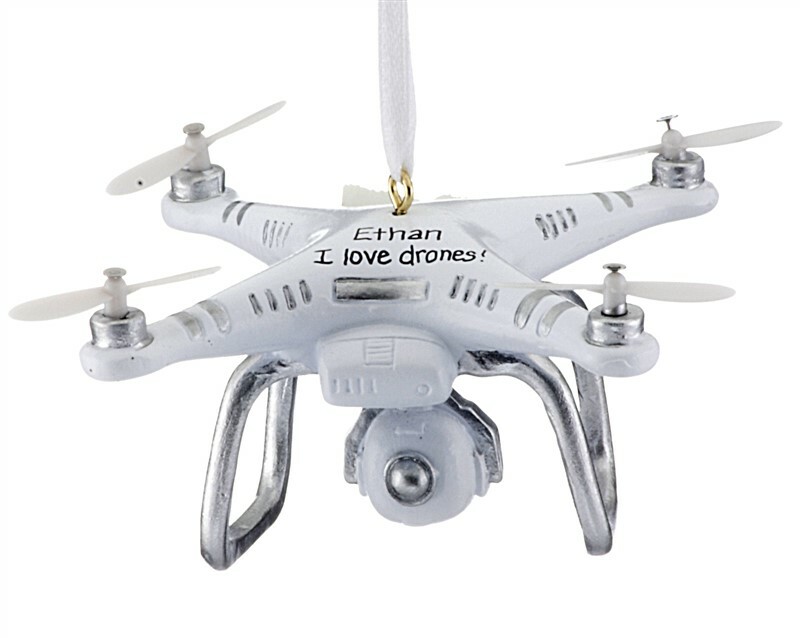 This unique drone ornament is so realistic! Each year, I love picking out food ornaments. Most are made with polish glass and have hyper-realistic qualities. 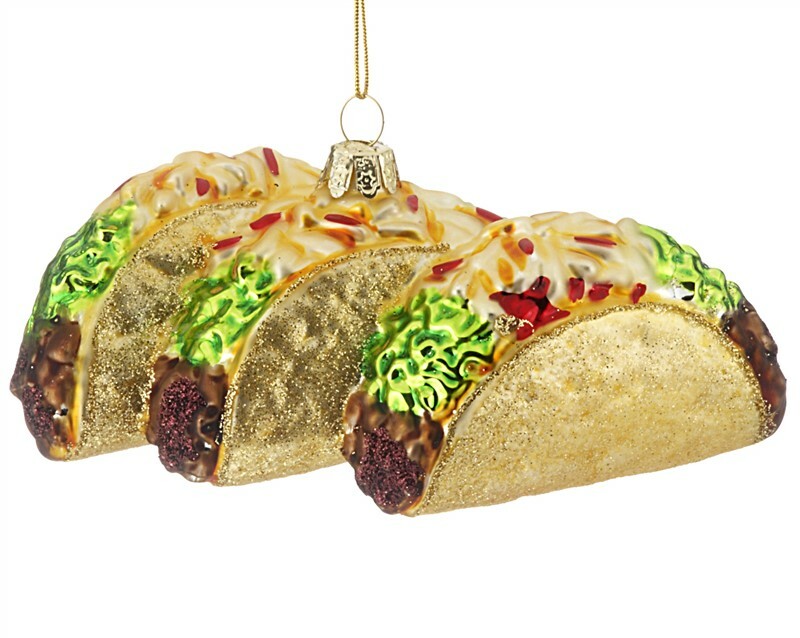 These crunchy taco ornaments are perfect for celebrating taco nights! We have so many to choose from including comfort food, desserts and even beer! 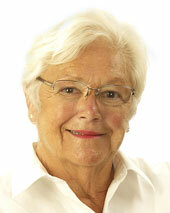 Do you have a family member who loves to ski or snowboard? Each year, we refresh our hobby and sports ornaments to reflect the most exciting styles around. 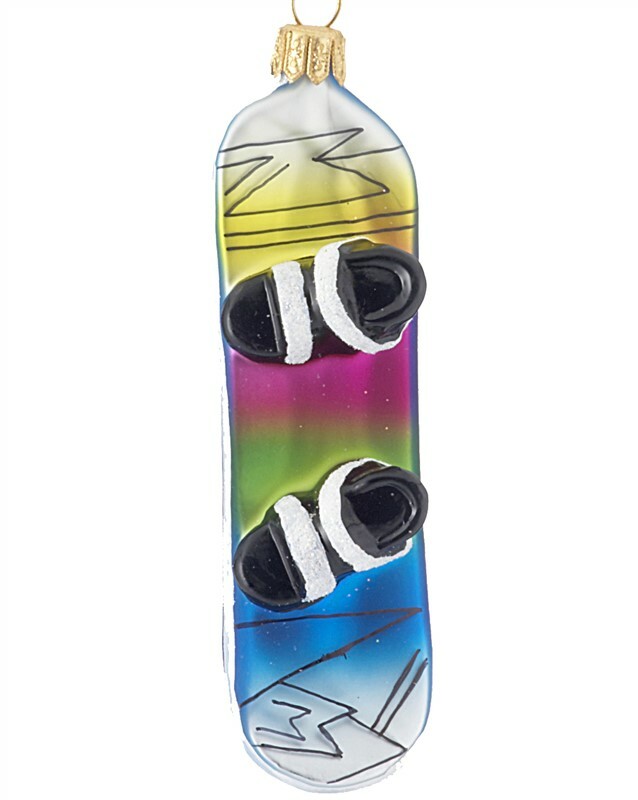 Personalize the bottom of your board with the name of your loved one to show them you recognize their hard work towards their goals. The latest Star Wars characters have been a big hit! Rey is picking up on the jedi legacy like no one before. The latest generation of Star Wars fans love enjoying her on each chapter of her journey. Pick out your favorite Star Wars character and personalize it with your name to celebrate this legendary series. 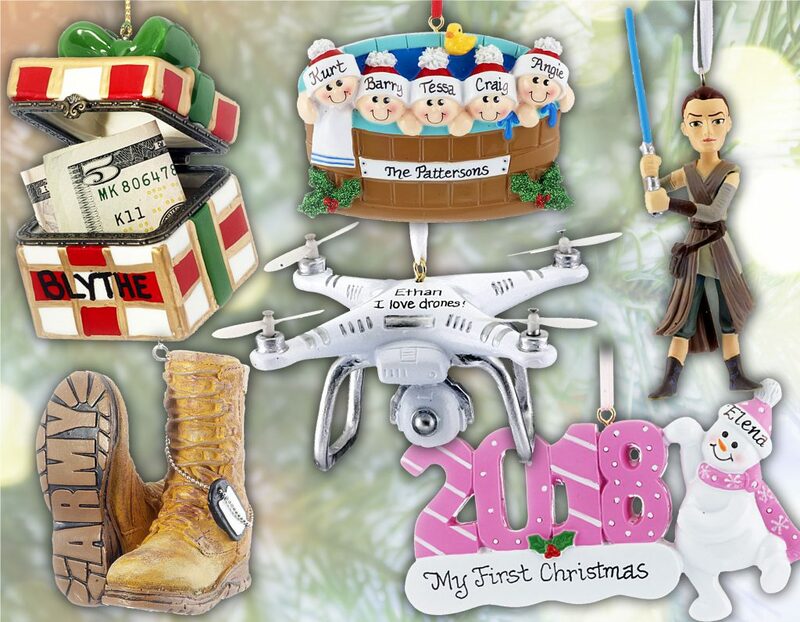 Many of our ornaments are unique miniatures of your favorite things! 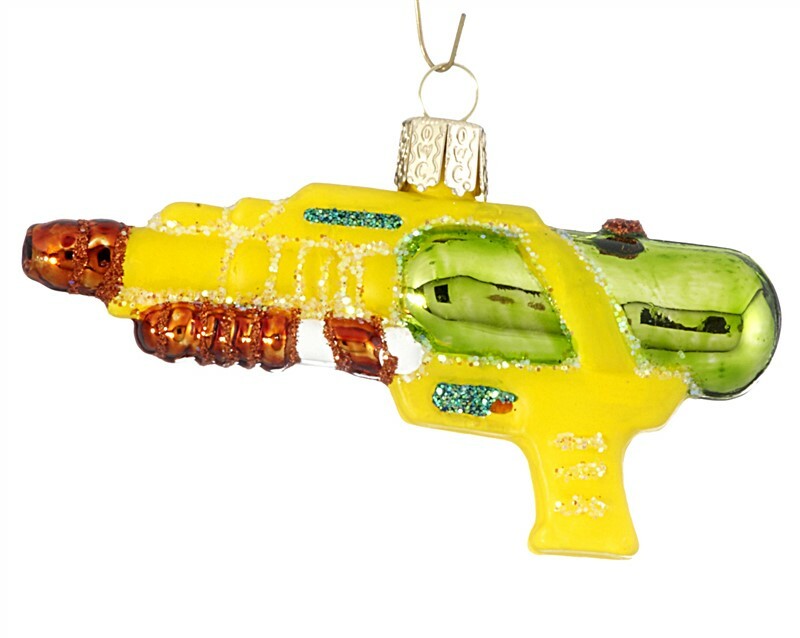 This water gun ornament can reflect a fun vacation and the best times spent with friends. This is perfect for a kid who loves to play in the pool or run around the yard during the summer. Did you go on a tropical vacation this year? We have unique vacation and destination ornaments for you to choose from, including briefcases from your travels and fun animals to remember the best and most exciting times. 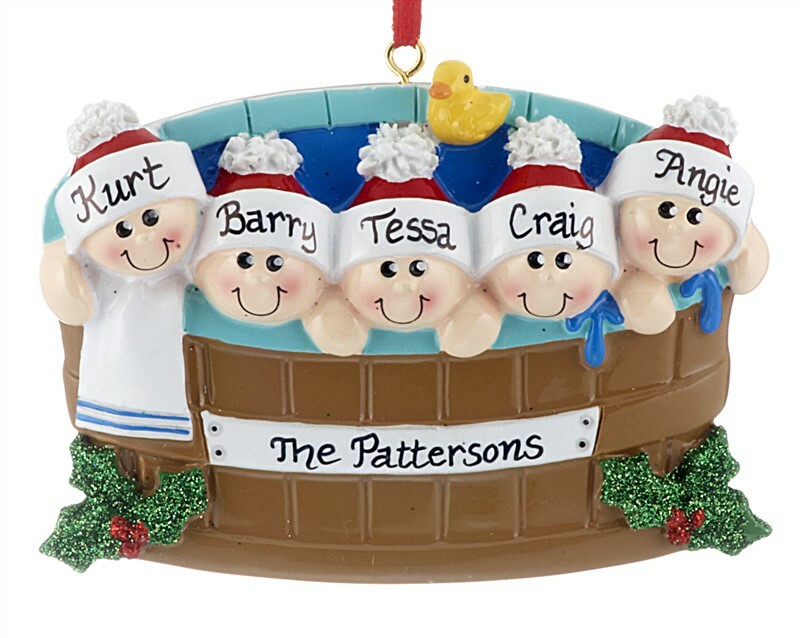 When it comes to family ornaments, we love finding new variety for you to personalize with each family member’s name. If you’ve gone on vacation to a resort, hot tubs are often the best part! 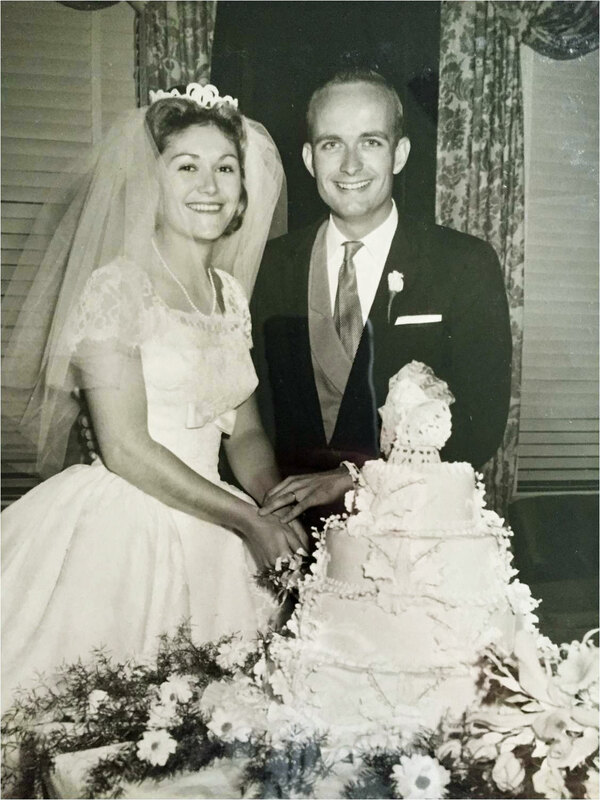 We love to relax on family vacations, and if these moments are also your family’s best times, cherish the memory with a keepsake. Do you have a friend or family member in the military? 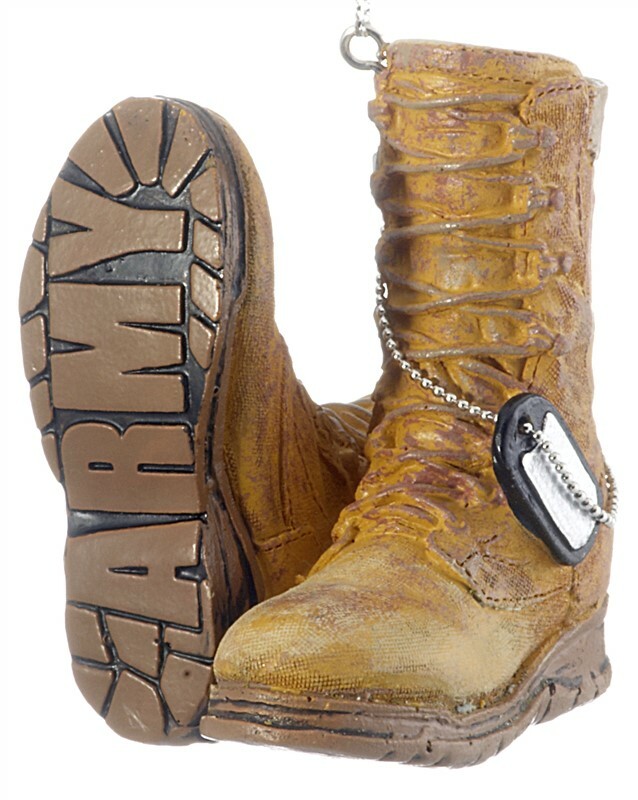 We have all-new boot ornaments with branches of the military etched into the rubber! These ornaments are great for gifting a token to your loved one to show how you recognize their hard work serving our country. Do you have a favorite ornament from 2018 to share? Tell us in the comments below!